Thanks everyone for a great first weekend. The weather really was stellar and so was the company. A fair number of eagles and lots of people out and about. It sounds like the Nooksack is the eagle hotspot right now – see the comments on the Nooksack post below. I’m headed to Mexico for a little over a week so I won’t be out on the river next weekend, nor will I be doing the count the next two weeks. 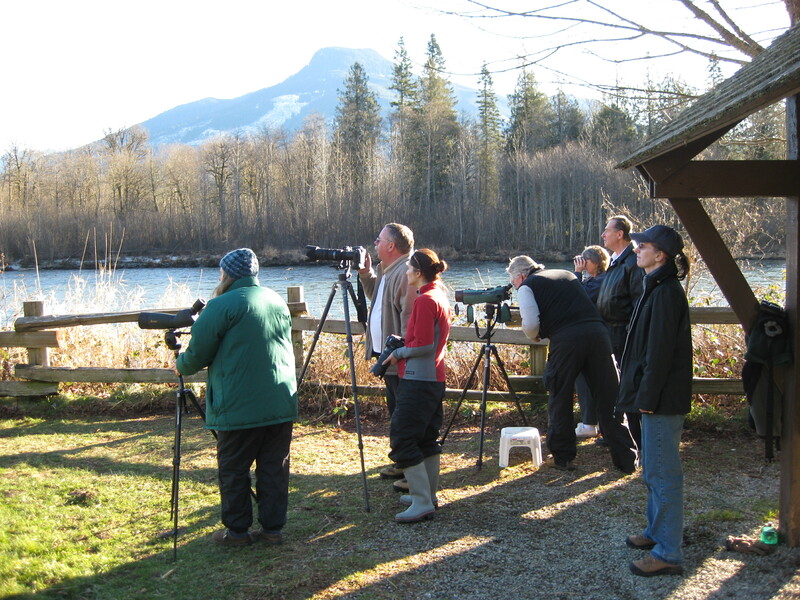 check skagiteagle.org or call Mt Baker Ranger District for the counts – Sarah and Kitty will have Rockport to Woolley covered for the survey and Matt will be helping everyone in the Eagle Watcher progam next weekend. Sardis has a raptor show at the Rockport Bald Eagle IC next Saturday. Check it out if you can get in, space will be limited!